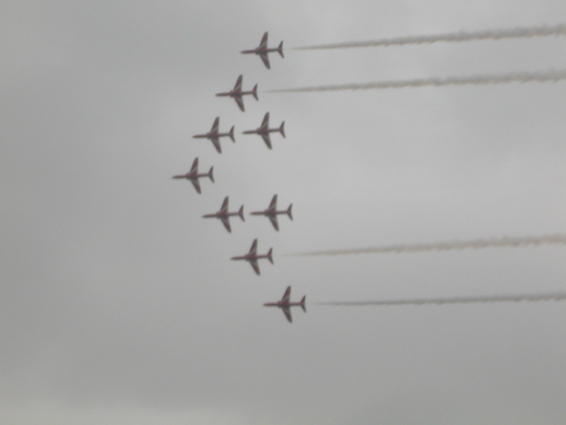 The Red Arrows formation flying team are well known throughout Britain. Every year they show their flying skills at Fowey (which they say is their favourite venue). They are always well received and command a particularly large following here.